Do not exceed the rated safety capacity of the wire rope. Use a double line (2:1) recovery layout if required. 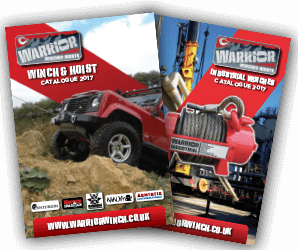 If the winch rope must be anchored back onto the winch vehicle when using a 2:1 layout do not attach it to the winch frame as this will double the forces acting on the frame. Attach it to the chassis.